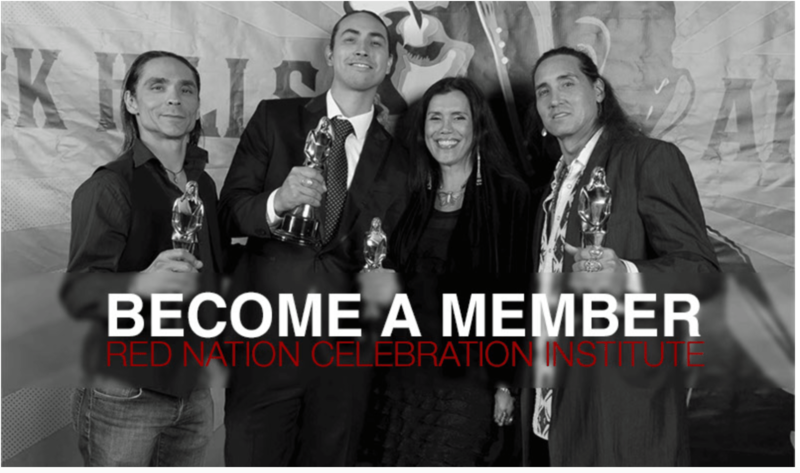 Red Nation Celebration Institute and Film Festival has been instrumental in launching the careers of Native Youth in lm, television and the arts in these categories: lmmakers, performers, activists and future humanitarians. 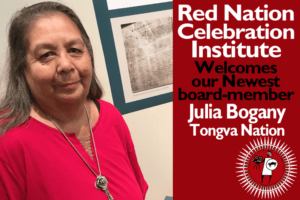 • Stacy Howard director “Amasani Grandmother”— was honored with the “RNCI Red Nation First Time Director Award’ 2017. • Xavier Horsechief—Navajo youth landed major role in new lm Christian Bale “Hostiles” #OscarBuzz “He is a natural! It is wonderful to see when supporting Native Youth anything is possible, said Joanelle Romero founder of Red Nation Film Festival, our program Native Youth Matter If I Can See It I Can Be It, has continued to invite Native Youth for 14 years+ to walk our Red is Green Carpet, and our mentoring program, in doing so they big dream and they began to see themselves in this creative process as a career in the lm industry.” This young artist attended 2016 Red Nation Film Festival ‘On the Road Tour’ for Kody Kodish short lm “The Beginning, featuring Xavier, which later went on to win at 2016 Red Nation Film Festival in los Angeles. • Colton Willier 8 years old director ‘Shirtnami’—second youngest lmmaker to screen at Red Nation Film Festival 2017. 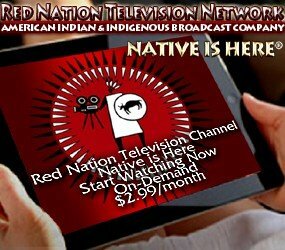 • Kody Dayish director “The Beginning’—was honored with the “RNCI Red Nation First Time Director Award’ of 2016. • E.C. Galesi—our first native writer was a young Yale graduate,. Industry professionals worked along side Ms. Galesi to develop a feature script, based on a book titled Second Sunrise. The second part of this process, we then gave the script to Carolyn Dunn, an accomplished native author and playwright. Ms. Dunn then furthered the script to completion. • Red Nation Celebration Institute helped form “Help the Earth” with its founder Montano Rain in producing the rst First Environmental Youth Summit in Los Angeles. 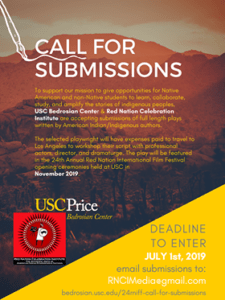 This native youth organization worked with over 275 Indigenous and non-indigenous youth from all over the Los Angeles area. The founder of ‘Help the Earth’ went on to win the rst YEA Award from the United Nations in Outstanding contributions to UN’s Millennium development Goal #Seven, Received Award from the Los Angeles Community College District board of Trustees for its tireless work in in environmental issues affecting mother earth, received recognition in Los Angeles City Hall from all district leaders, and was invited to join Jane Goodall in Africa, in which Help the Earth founder produced and directed his first short film. August 2016 Red Nation Film Festival “On the Road’ Red is Green Carpet! Held annually during Indian Market week in Santa Fe NM, since 1995.